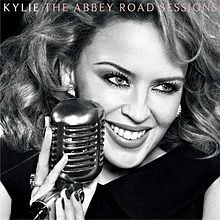 Kylie Ann Minogue, known simply as Kylie, is an Australian singer, recording artist, songwriter, showgirl, and actress. After beginning her career as a child actress on Australian television, she achieved recognition through her role in the television soap opera Neighbours, before commencing her career as a recording artist in 1987. Her first single, "The Loco-Motion", spent seven weeks at number one on the Australian singles chart and became the highest-selling single of the decade. This led to a contract with songwriters and producers Stock, Aitken & Waterman. Her debut album, Kylie (1988), and the single "I Should Be So Lucky", both performed well on international charts, particularly in Australia and the United Kingdom. For the U.S. promotion of the album, Minogue will perform on Dancing with the Stars on 13 November 2012 and The Tonight Show with Jay Leno on 14 November 2012. I like the CD is upbeat and peppy.